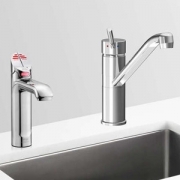 Zip HydroTap 3-in-1, 4-in-1 and 5-in-1 offer a combination of Boiling Filtered and Chilled, Ambient, Sparkling water plus Hot and Cold (unfiltered) water for washing up from two seperate taps. The appliance features a single under bench command centre including full colour interactive touch screen display with pin code protection, 2 boiling water safety modes, 3 energy saving modes including sensor activated "sleep when its dark", 0.2 micron water filtration. 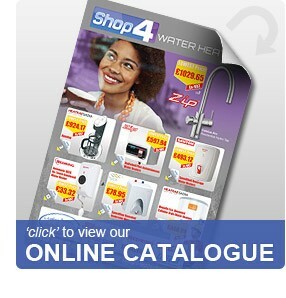 Zip HydroTap G4 3-in-1, 4-in-1, 5-in-1 Commercial Range There are 8 products.